Dr. Abdullahi is a Senior Assistant Professor of Entrepreneurship at Universiti Brunei Darussalam (UBD) (323rd in QS World Ranking), where he is also the Incubator Coordinator and Member of Quality Assurance Committee (QAA), with specific focus on AACSB. He is also an Honorary at Kingston University London, UK. Prior to joining UBD, he was a Senior Lecturer in Entrepreneurship & Innovation at Kingston Business School (AACSB, EPAS and AMBA accredited), Kingston University London, where he successfully led the creation of the first MSc in Innovation Management and Entrepreneurship. He was the Programme Director for the MSc in Innovation Management and Entrepreneurship at Kingston Business School. He was also a Lecturer in Entrepreneurship and Economic Development at the University of Essex, UK (which is one of UK’s Top 10 Social Science Research universities), and Program Director for BSc Business and Service Industry Management. So far, he has taught a total of up to 23 Modules at the University of Essex/Kingston university London (including Kingston Moscow MBA) combined, most of which relate to entrepreneurship and innovation both at the undergraduate and postgraduate levels. 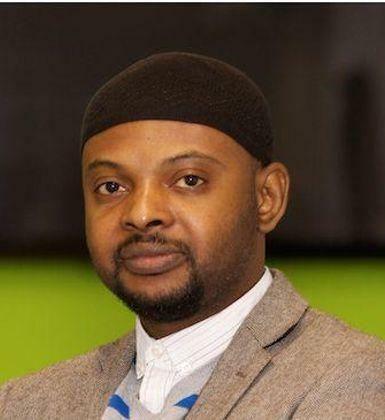 Dr. Abdullahi holds a PhD in Entrepreneurship (University of Essex, UK) and MSc in Entrepreneurship and Business Management (University of Bedfordshire, UK). Dr. Abdullahi has published in many peer-reviewed journals, a number of which are recognized and listed in the highly-respected Association of Business School (ABS) ranking, published book and presented peer-reviewed papers in up to 26 conferences (many of which are leading conferences) around the world, including: USA, South Korea, Canada, Colombia, England, Scotland, Wales, Republic of Ireland, Belgium, India, Bahrain, Hungary, Turkey, Latvia, South-Africa, Malaysia, Dubai etc. He is a Fellow of the International Entrepreneurship Education Programme (IEEP), National Centre for Entrepreneurship in Education (NCEE), UK. He is also a Fellow of the Higher Education Academy (FHEA), UK. Dr. Abdullahi also holds Staff Educational Development Association (SEDA) Award in Leading and Developing Academic Practice, UK. He is also an Associate member of the prominent Small Business Research Centre (SBRC) at Kingston University London, which is one of the leading centres for small business research in Europe. Dr. Abdullahi serves as a Member of the Advisory Board of Globe Management Institute (GMI), Ghana. He has held memberships of Brown International Advanced Research Institute (BIARI) Network on Technology Entrepreneurship and Management Institute, Brown University, USA (2010), Institute of Small Business and Entrepreneurship (ISBE), UK (2008), European Council for Small Business and Entrepreneurship (ECSB) (2007) and Nigerian Institute of Management (NIM) (2002). Dr. Abdullahi has also worked on a number of funded projects, such as the British Council ‘Women Empowerment Project’ (£45,000), ‘Education Partnership for Africa’ (EPA) (£60,000), ‘Economic Impact of Southend Airport on the Local Economy’ (£19,000), ‘Regional Disparity in Entrepreneurial Behavior and Activities’ (£3,400) etc. Others include projects for Qatar Development Bank, East of England Development Agency (EEDA), European Union (EU) - Leonardo Da Vinci Vocational Training Action Programme, among others. Previous research on innovation systems largely focused on considerably large developed countries with population exceeding one million, thereby leaving us with hardly any understanding of the systems of innovation of SMEs in small-sized developed countries. Consequently, this project seeks to investigate how SMEs in a small-sized developed country exploit both country specific domestic resources as well as external, international knowledge to build their innovation capacity. And how SMEs in a small-sized developed country exploit both domestic markets and international markets in commercializing their innovations. The study will be conducted in Brunei Darussalam, a developed country with a population of less than five hundred thousand people. What specific modes of internationalization influence SME innovation in Sub-Saharan least developed countries (LDCs)? Abubakar, Y. A. and Mitra, J. (2017). Knowledge spillovers and high-impact growth: Comparing local and foreign firms in the UK. Journal of International Entrepreneurship, 1-32. 2016-2017 Women’s Economic Empowerment (approximately £45,000), Project Conducted at the Small Business Research Centre (SBRC), Kingston University London (together with Prof. David Smallbone). 2011-12 Regional Disparities in Entrepreneurial Behaviour and Activities (£3.400), Project Conducted by Essex Business School, University of Essex (with Prof. Jay Mitra). 2010	Student Enterprise Club, University of Essex (with Dr Caleb Kwong and Prof. Jay Mitra as the project leader). 2009	Economic Impact of Southend Airport Expansion on the Local Economy, Business School, University of Essex (£19,000) (together with Prof. Jay Mitra as the project leader). 2007	Management Development & Enterprise Research Project, Essex Business School, University of Essex (together with Prof. Jay Mitra as the project leader, Dr Jun Li, Dr Bill Gleave etc.). Abubakar, Y. A. (2013b). Agglomeration of high-tech firms and new product innovations. LAP Lambert Academic Publishing. Mitra, J. and Abubakar, Y.A. (2010) Seeking Legitimacy: New Technology Firm Behaviour in Nascent and Established Environments, in Mitra, J. and Sagagi, M.S. (eds), Readings on African Entrepreneurship, Adamu Joji Publishers: Kano. Abubakar, Y. and Hand, C. (2016) The Influence of Internationalisation on SME Innovation in Least Developed Countries (LDCs), Innovation and Management (IAM) Conference, 12-15 July 2016, Kuala Lumpur, Malaysia. Abubakar, Y. and Mitra, J. (2011), Small firm Innovation in Non-Clustered Regions: Comparing High and Low Agglomerations, International Council for Small Business (ICSB), 2011, World Conference, June 15-18, 2011, Stockholm, Sweden. Mitra, J., Abubakar, Y. and Sagagi, M.S. (2011), Education and Entrepreneurship in Africa: Examining Knowledge Creation and Human Capital in Nigeria, “Entrepreneurship in Africa.” The 2nd Annual Conference Syracuse University, Syracuse, May 22-24, 2011, New York, USA. Abubakar, Y.A. and Mitra, J. (2010), Entrepreneurship and High Impact Growth: Comparing Indigenous and Foreign Firms, Institute for Small Business and Entrepreneurship (ISBE), 33rd Annual Conference, Grand Connaught Rooms, 3rd & 4th November 2010, London. Abubakar, Y.A. and Mitra, J. (2009) The High Impact Firm: Spatial Dynamics of Human Capital, Entrepreneurship and Growth, Institute for Small Business and Entrepreneurship (ISBE) 32nd annual conference November, Liverpool, UK. Abubakar, Y.A. and Mitra, J. (2009) Spatial Dynamics of High Impact Firm: Human Capital, Entrepreneurship and Growth, Paper presented at the International Entrepreneurship Forum (9th. IEF). 16- 18, September 2009, Istanbul, Turkey. Abubakar, Y.A. and Mitra (2009) Sources of Small Firm Innovation in Low Agglomeration: Comparing High and Low Agglomeration Regions, Paper presented at the 2009 International Council for Small Business (ICSB) World Conference, June 21-24, in Seoul, Korea. Mitra, J. and Abubakar, Y.A. (2009) Entrepreneurial Growth and Labour Market Dynamics: Spatial factors in the consideration of relevant skills and firm growth, Paper presented at the 2009 International Council for Small Business (ICSB) World Conference, June 21-24, in Seoul, Korea. Abubakar, Y. (2008) Factors influencing Innovation in European Knowledge Regions: Comparing Manufacturing and Services ICT Sub-sectors, Paper to be presented at the 8th International Entrepreneurship Forum (IEF), Conference on Creativity and Entrepreneurship: Imperatives for sustainable Global based Knowledge Economy; 17th - 19th December 2008, Ahmedabad, India. Experience in creating two startups.